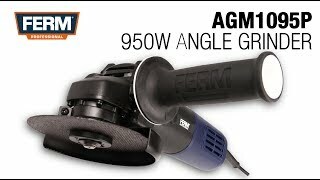 The professional AGM1095P angle grinder is compact, powerful and adapts perfectly during every grinding situation. 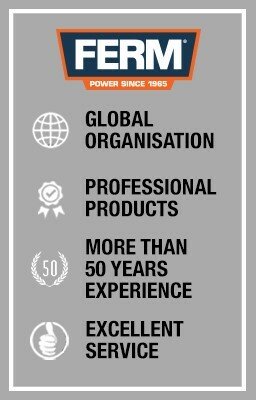 This powerful grinding machine has 950 watts of power, a disk diameter of 125 mm and is therefore very suitable for the (further) grinding and deburring of metal (including steel, aluminum) and stone types. The machine is equipped with a soft grip side handle and an adjustable protective cap. Thanks to the 3 meter long rubber power cable you have optimal freedom of movement during work. Exchange grinding discs quickly and easily by using the spindle lock and the supplied spanner. This angle grinder is suitable for the experienced do-it-yourselfer and professional.